Not included in list of brewers. Listed 1892 at Rosary Road and Queen Street. 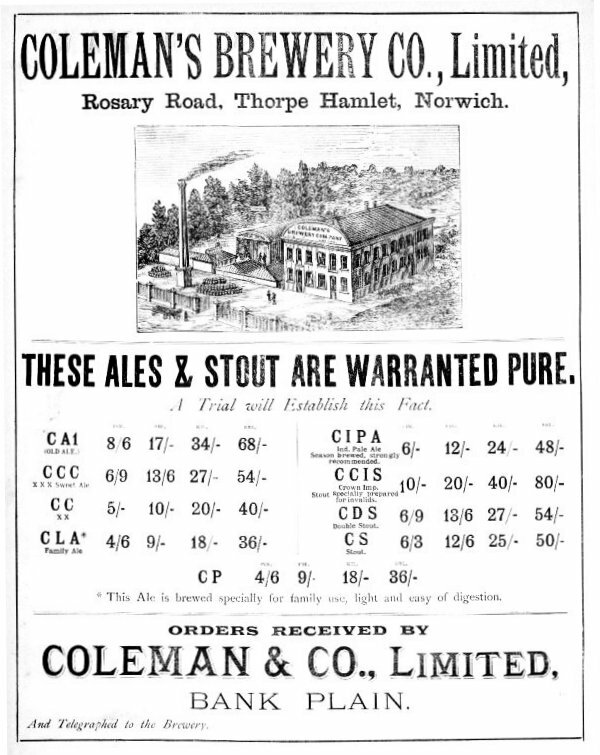 Listed 1896 (Coleman & Co Ltd) as Wine Merchants at Queen Street, 115 St Benedicts Street, 42 St Georges Middlestreet and at Westwick Street. Described as Manufacturing Chemists and Wine Merchants at the Wincarnis Works, Westwick Street. No mention of brewery at Thorpe Hamlet.